India has rejected Apple’s request to import and sell refurbished iPhones, a telecommunications ministry official told Bloomberg on Tuesday. Apple’s rivals mounted a public campaign against the proposal, arguing that such a move would trigger a flood of used electronics while defeating the government’s ‘Make in India’ scheme to encourage local manufacturing. Earlier, a similar proposal was rejected in 2015 by the environment ministry. The decision is a setback for Apple, which has just two per cent of Indian phone shipments but needs to tap new markets as global iPhone sales plateau. The US company is also seeking permission to open its first Indian retail stores, key to driving its brand in a market dominated by local vendors. That decision is still under consideration. Apple did not comment on the story. India is a challenging market because of the iPhone’s premium pricing but bringing in refurbished phones would have allowed Apple to attract the cost-conscious buyers. The company typically doesn’t lower prices, to maintain its marquee image. Apple enjoyed its best year in terms of iPhone sales in India in 2015. iPhones are, however, still too expensive for most Indian consumers. Aspiration to own an Apple device went up significantly in the last three years, leading to an increase in sales of iPhones to 2 million handsets in 2015. Sales of refurbished iPhones by third-party vendors surged as well. Apple’s motivation to sell refurbished or used iPhones in the second-largest smartphone market in the world was backed by this factor, analysts pointed out. According to senior government officials, the department of electronics and information technology had expressed concern over import of second-hand products. This would contribute to electronic waste being dumped in India, the IT ministry told the environment ministry and the Director-General of Foreign Trade. “The sales of refurbished iPhones have been growing steadily in the past couple of years. Some smartphone recycling companies told us that as much as 80 per cent of refurbished smartphone sales are iPhones when a new model is announced. 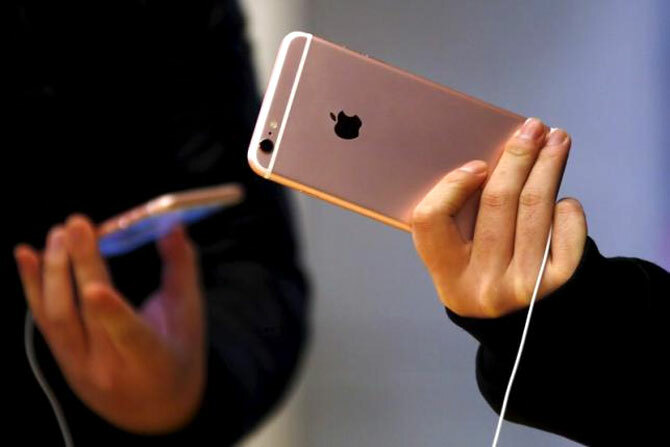 Apple would rather those customers buy a cheap new iPhone rather than a refurbished iPhone,” said Ronan de Renesse, lead analyst, consumer technology, Ovum, a consultancy firm. “Apple’s objective was to sell refurbished phones at a lower price and later on upgrade those customers. This decision could seriously affect its expansion plans,” said Tarun Pathak, senior telecom analyst at Counterpoint Research. An industry executive says restricting Apple from selling used products would be a big relief for other players.